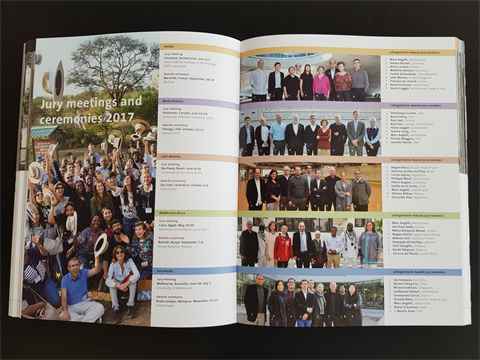 Nine members of jury, an observer and a minutes taker spent a full day studying, evaluating and ranking 55 projects that had qualified to be honored with a Global LafargeHolcim Award or a Global LafargeHolcim Awards Ideas prize. 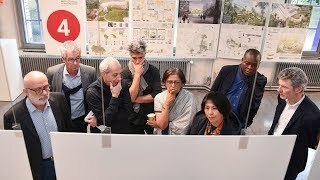 Have a glimpse at the process in the heritage exhibition room of Sihlcity in Zurich. 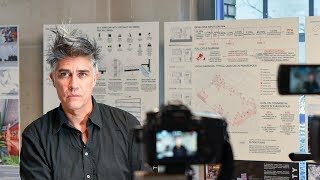 Awards Gold: Head of the Global LafargeHolcim Awards jury, Alejandro Aravena, notes how the Gold Award winning Project from Mexico addresses the critical and relevant matter of water. 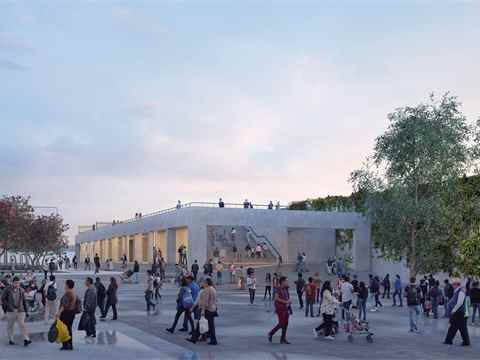 The scalable program could transfer from the single case to become a systemic response – and integrates more than one dimension that enhances life quality and public space beyond technical responses alone. 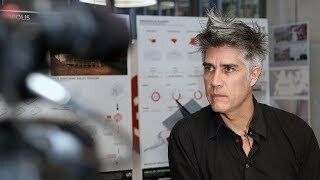 Premio de Oro: El líder del jurado de los Global LafargeHolcim Awards, Alejandro Aravena destaca que el proyecto ganador del premio de Oro, proveniente de México, acertó en identificar un tema relevante y desarrollar una respuesta expandible que integra varias dimensiones para lograr soluciones, y no sólo abordar los problemas. 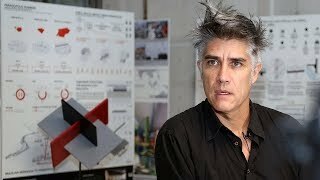 Awards Silver: Head of the Global LafargeHolcim Awards jury, Alejandro Aravena, complimented the many dimensions and layers of the Awards Silver winner from Niger, which moved it from a single work to holding universal qualities. The project achieves a remarkable level of quality, and strategically leverages traditional knowledge and local materials. 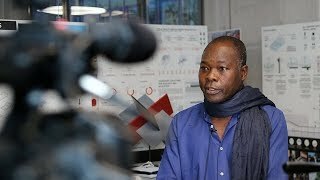 Prix d’argent: Diébédo Francis Kéré, juré aux Global LafargeHolcim Awards, félicite les lauréats pour leur courage à imaginer des projets qui créent de nouveaux espaces publics plutôt que des espaces vides et à utiliser le savoir-faire et les matériaux disponibles sur place pour la construction. 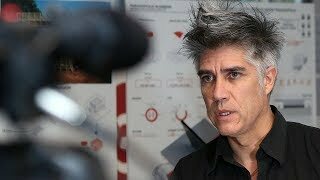 Awards Bronze: Alejandro Aravena, Head of the Global LafargeHolcim Awards jury thinks being an active agent of change is a compelling aspect of the Bronze Award winning project from the USA. 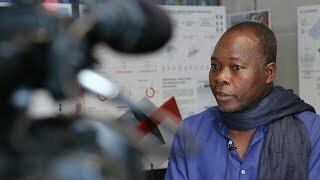 The scalable community-driven model could be applied in other shrinking cities, where taking action in a design void breaks down the scale of centralized infrastructure to deliver water, energy and food locally. 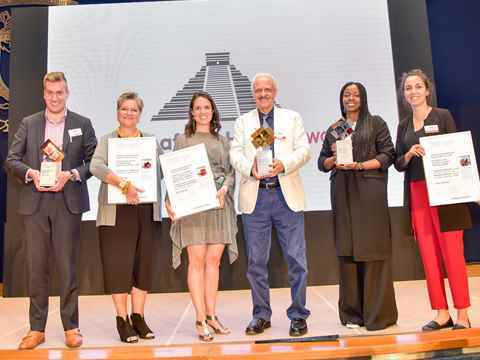 Ideas prize for "Refrigerating Jar" in Ghana: Global LafargeHolcim Awards jury member, Diébédo Francis Kéré, viewed the LafargeHolcim Awards Ideas prize winner from Ghana as a clever concept for building the value of a main economic resource in West Africa. By storing the nuts and processing them incrementally, the community is empowered – by selling the processed shea butter for skin moisturizing when it commands a higher price in the market cycle. 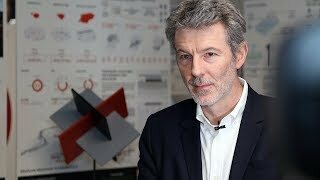 Ideas prize for “Cooling Roof” in the USA: Global LafargeHolcim Awards jury member, Stuart Smith, believes the LafargeHolcim Awards Ideas prize winner from the USA is a concept worthy of further exploration. The project examines the use of evaporative cooling using a water layer on a roof to provide cooling within a logistics facility in California – but could be applied in any structure with a large roof area. 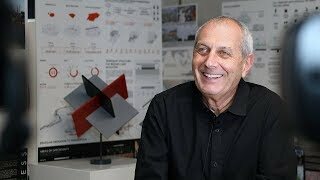 Global LafargeHolcim Awards jury member, Marc Angélil, considers the micro-level detail of the LafargeHolcim Awards Ideas prize winner from the USA to be ingenious and embodies the new Ideas prize category. By developing a new system for cooling a “big box” logistics structure, the project has the potential for huge energy savings from cooling loads that is applicable on a widely-used building type form. 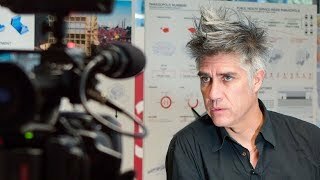 Premio Ideas para "Territorial Figure" en Argentina: El líder del jurado de los Global LafargeHolcim Awards, Alejandro Aravena destaca que la idea de los estudiantes de Córdoba es clara, relevante y original; y se manifiesta entusiasmado de que tanto el Award de Oro como uno de los premios Ideas para la categoría Next Generation hayan sido otorgados a proyectos presentados en Latinoamérica.